Tahsin, 46, and his young family have been through a lot in the last year. Reaching out to traffickers to help him escape to Greece, borrowing money from friends to pay them and learning that his father had been detained. Tahsin told Euronews that police raided his father's house to make the arrest and how they treated the elderly, blind man. "They made him cry for several days," he said, "a man who could not physically cry because he doesn't have any eyes". A former Deputy Director for Orphans in the Ministry of Family and Social Affairs in Turkey, Tahsin was forced to leave his country in 2016 after an attempted coup. He was accused of being “Gulenist” and fled to Greece with his family. 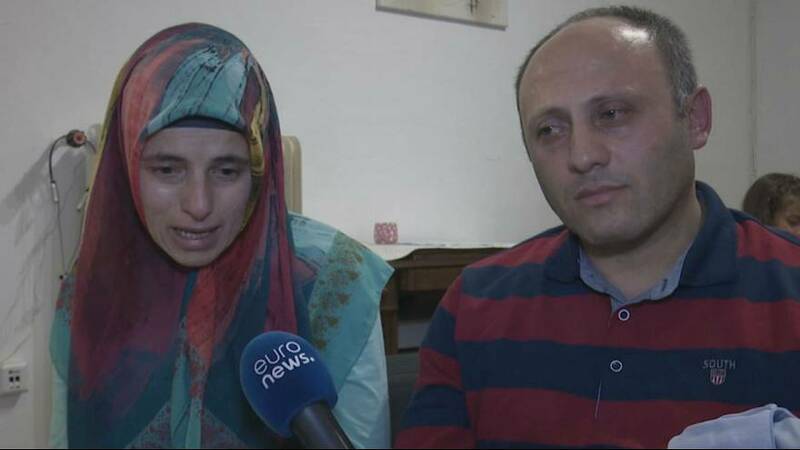 The 46-year-old's wife Meryem told spoke of the difficulties her daughter faced after leaving Turkey. "My daughter said to me: 'I miss home very much. I miss my friends very much. I miss my cousins a lot.'" Of the authorities, Meryem's daughter said: "They stole my dreams and they stole my toys."